Recently the beauty of the forms of the palm tree fronds was apparent on a very sunny day on Lake Como, Italy. Palm trees show up in the most unusual places. This is an impressionistic painting using high-grade professional acrylic paint. 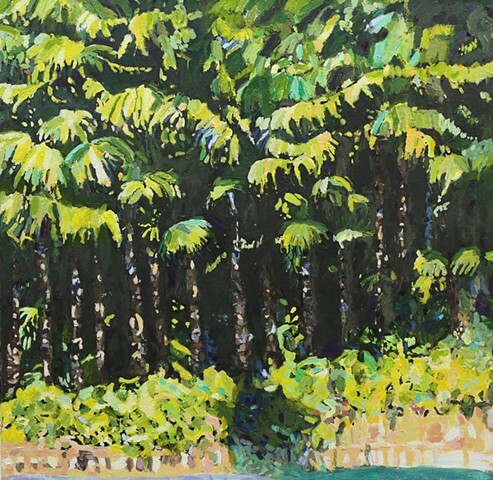 The rich greens and cadmium yellows have thick gestural brushstrokes depicting movement as well as the lushness of the palm trees surrounded by cool dark shadows.